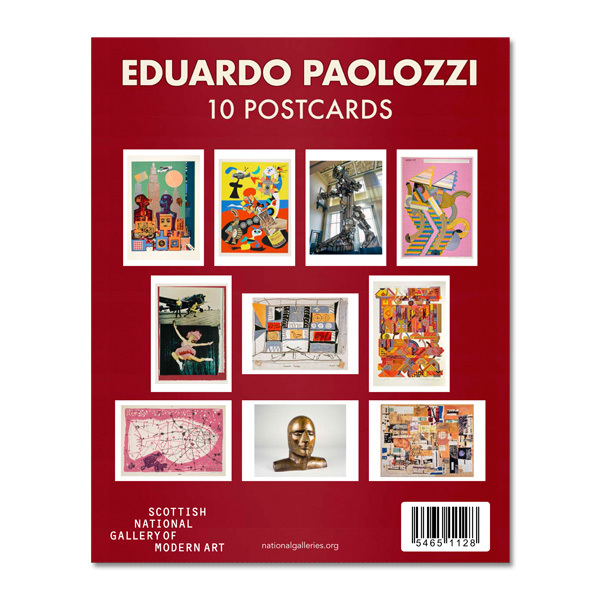 10 postcards featuring artworks by Eduardo Paolozzi part of the Scottish National Gallery of Modern Art Collection such as Wittgenstein in New York, Sack-o-sauce, Vulcan, Take-off, Marine Composition and more. Pack comes sealed with a paper slip case cover. 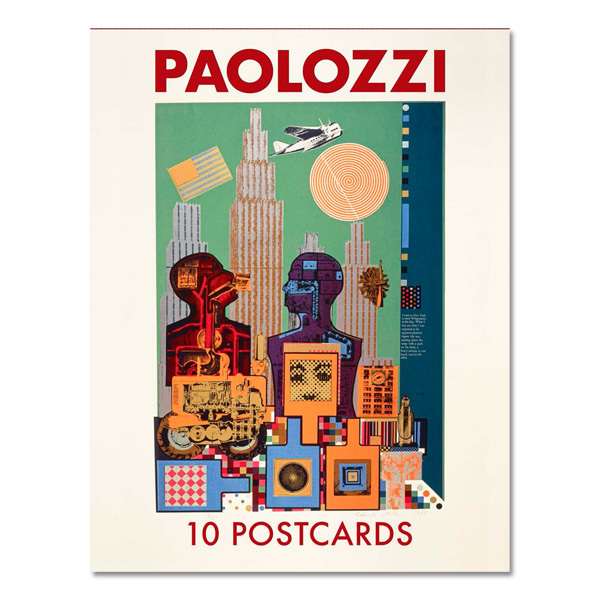 Eduardo Paolozzi Marine Composition Dated 1950 © Trustees of the Paolozzi Foundation, Licensed by DACS 2018.